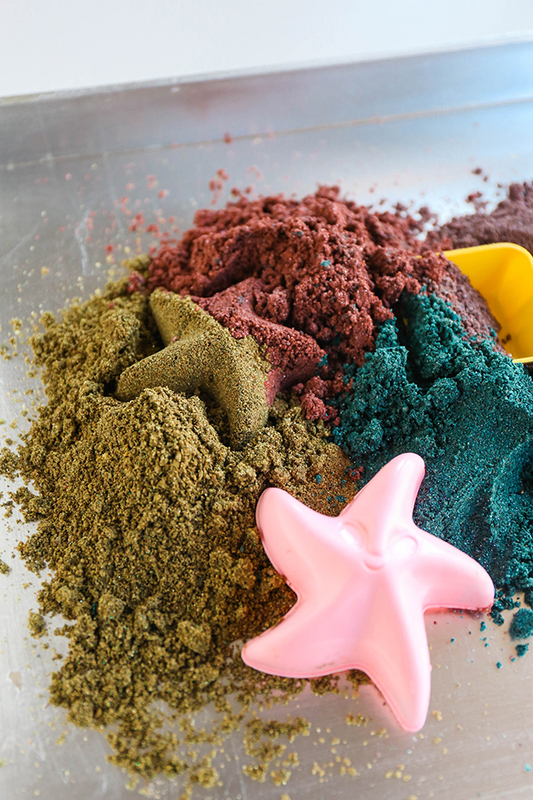 Although I’d love to buy my daughter her own kinetic sand kit at $15 per cup of sand, I just don’t think it’s worth the money. 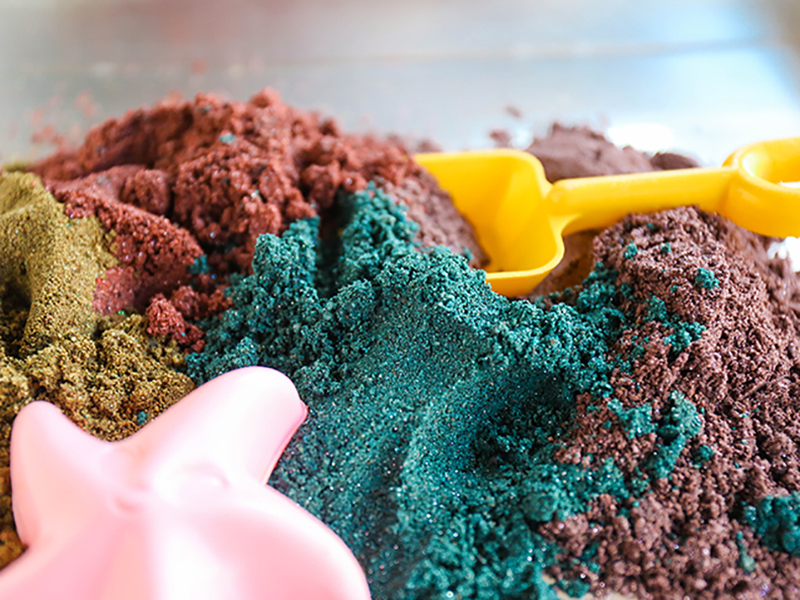 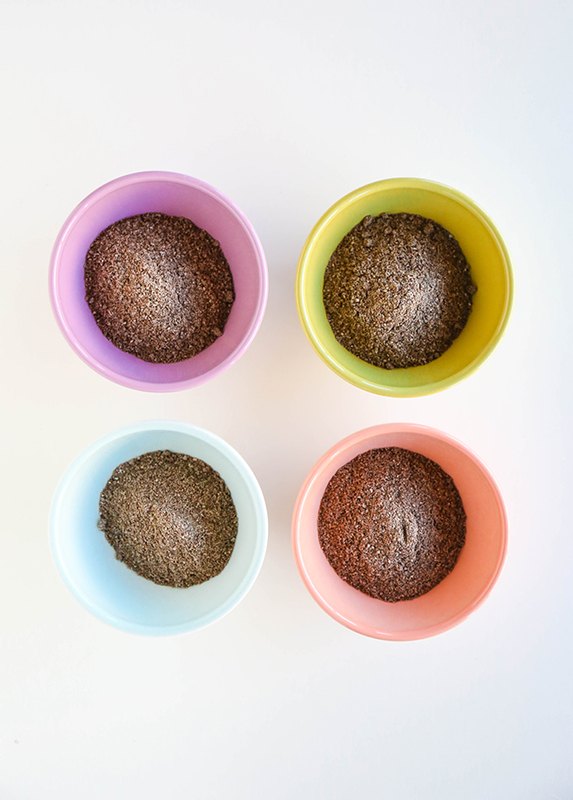 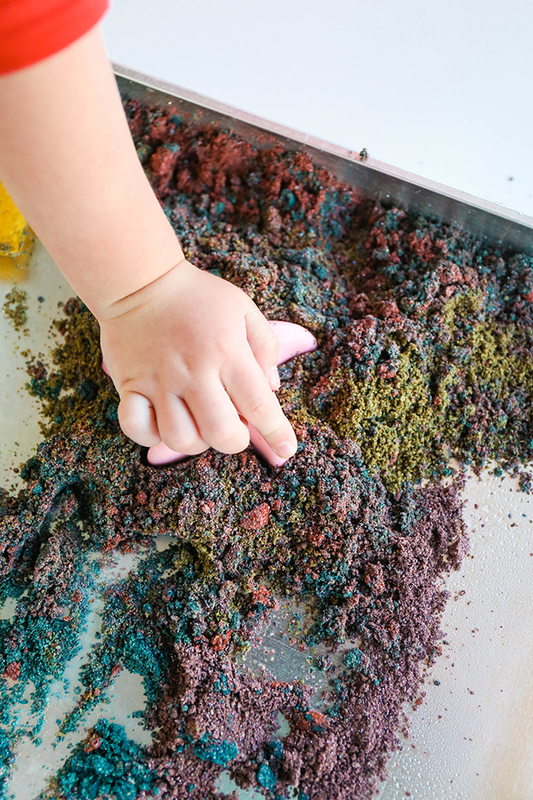 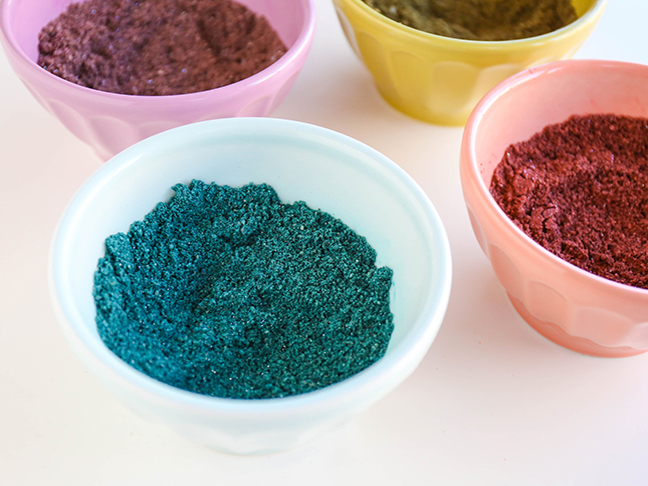 So I decided to make DIY Kinetic Sand at home, since sensory play is one of my daughter’s favourite activities. 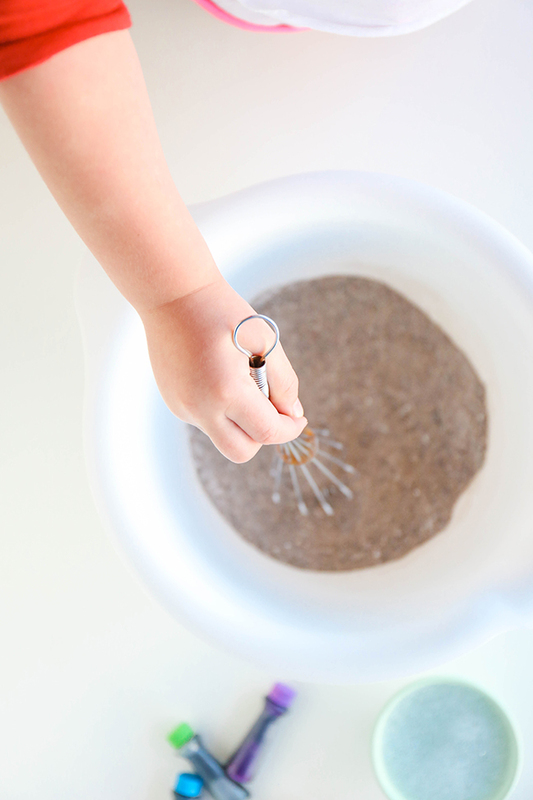 Step 1: Combine the sand and corn flour with a whisk. 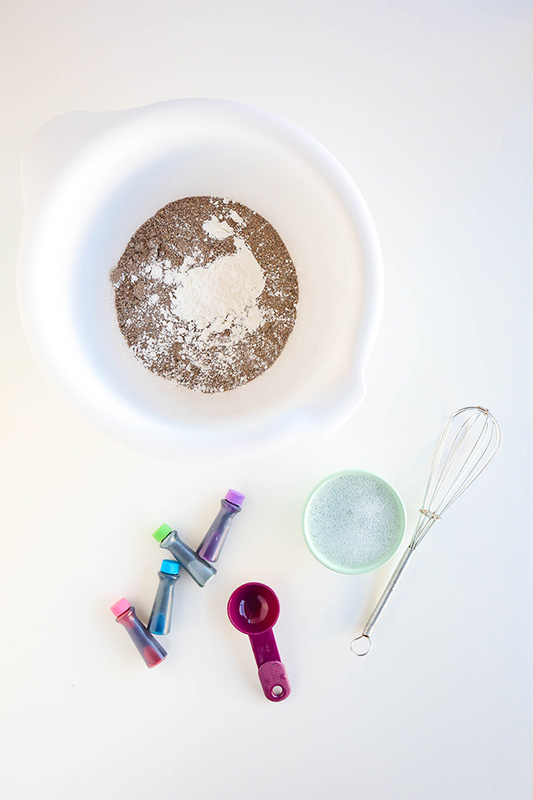 Step 2: In a small bowl, add the dish washing liquid to the water and stir until nice and bubbly. 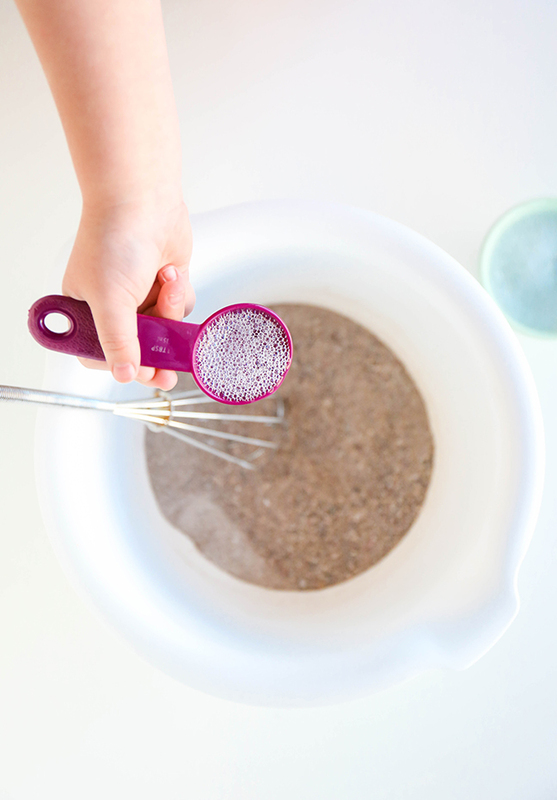 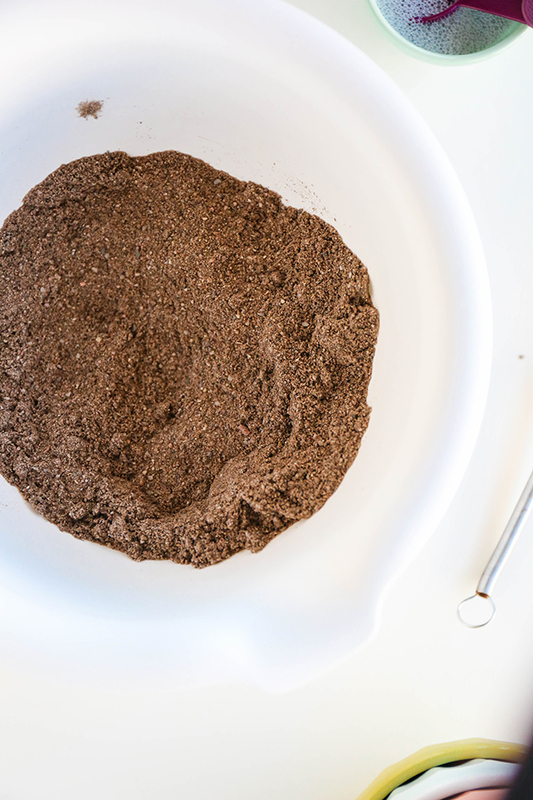 Add 1 tablespoon to the sand mixture and whisk gently until sand feels damp. 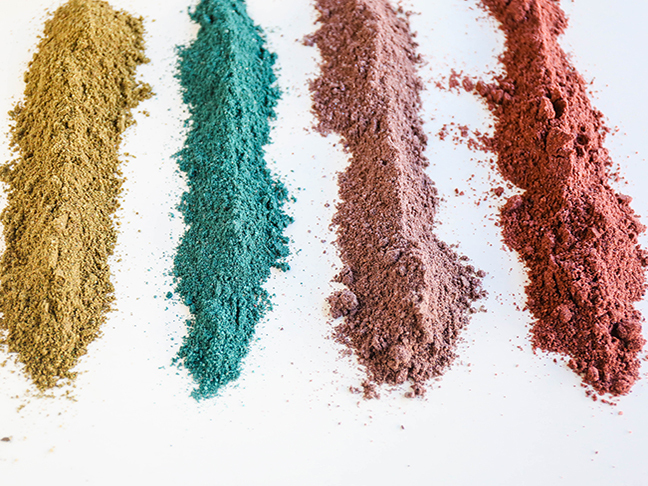 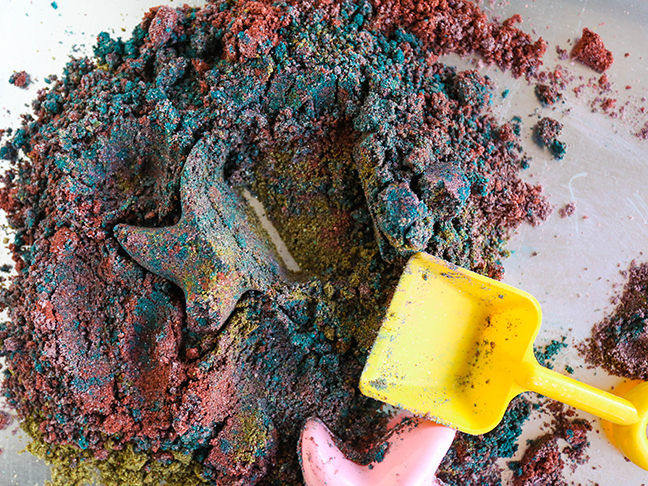 If your sand is still dry in spots, add a little more water until it is completely damp. 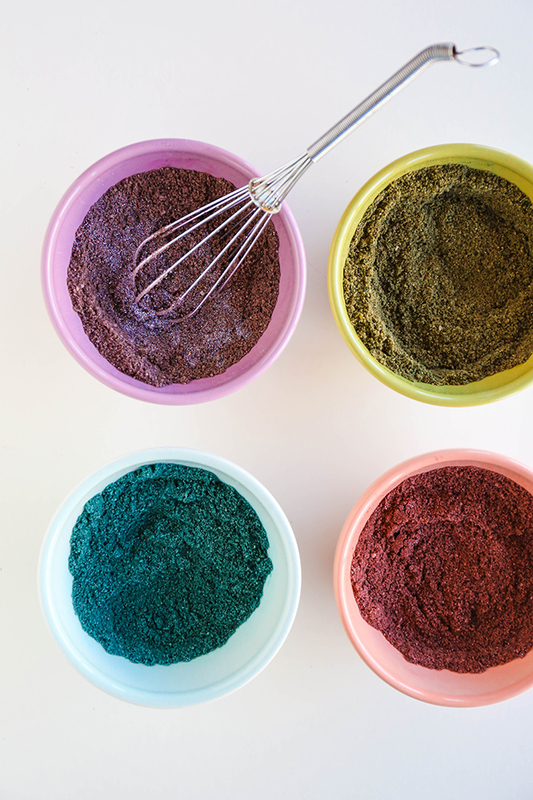 Step 4: Add food colouring to each bowl and whisk gently until completely mixed. 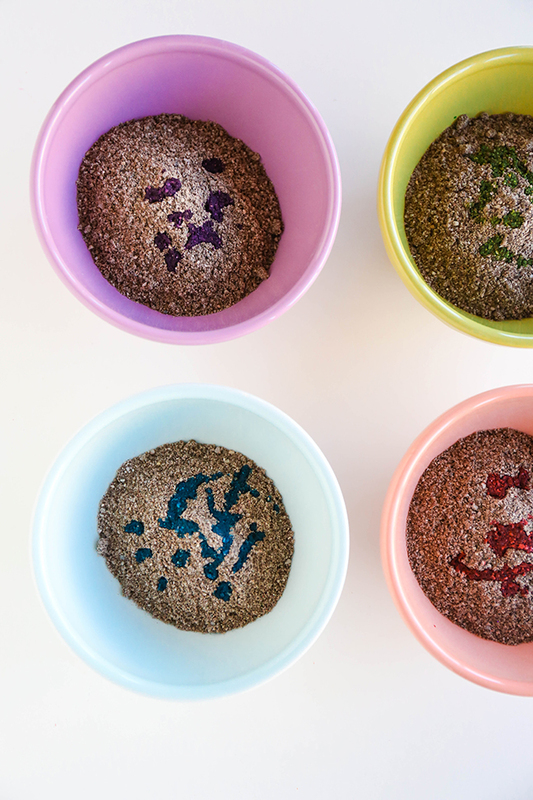 Be as generous with the colouring as you like! 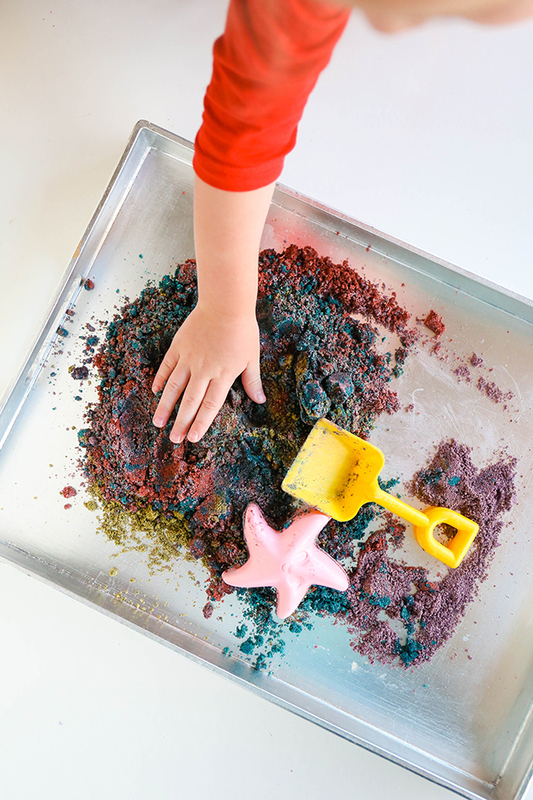 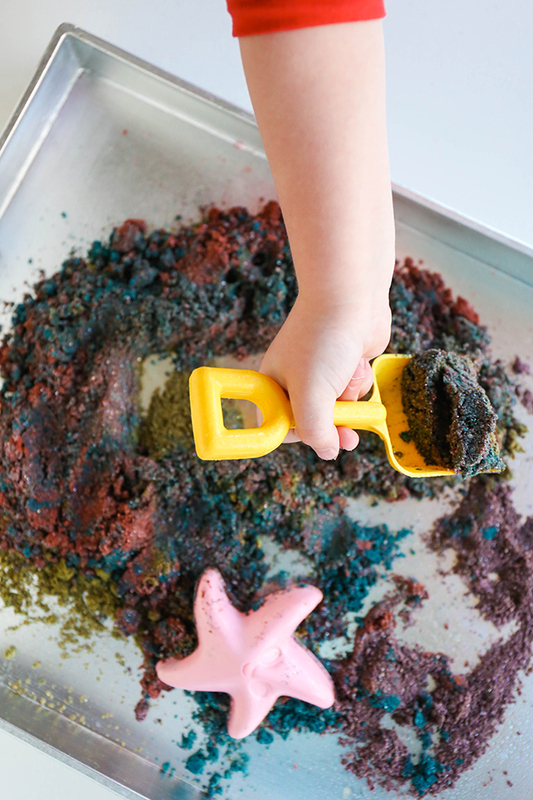 The dish washing liquid helps the sand keep its shape while it’s still dry to the touch!